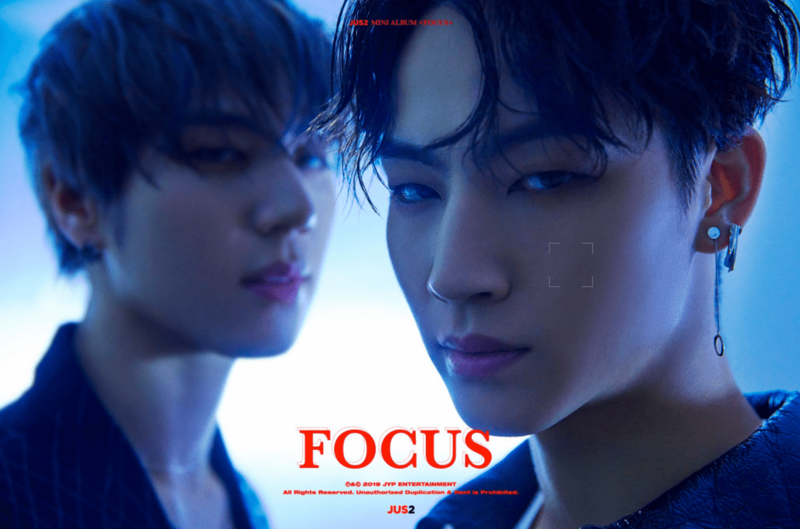 GOT7’s new unit Jus2, consisting of members JB and Yugeom, have released more image teasers for their upcoming debut mini album ‘FOCUS’. Unlike previous image teasers, these new shots are in colour and have the boys posing together. 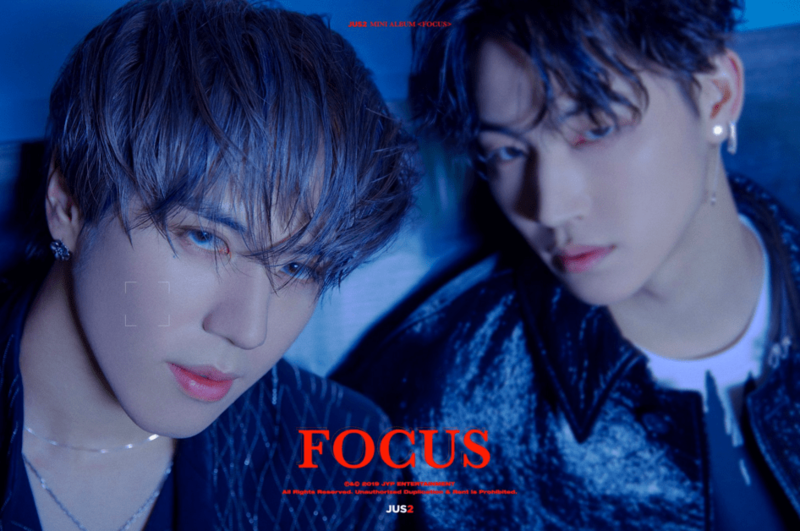 The first shot has the camera’s focal lens over JB bringing our attention to him, whilst the second shot has it over Yugyeom, artfully playing on the group’s debut album name ‘FOCUS’. The third and final image has the camera’s focal lens sensor in between the two, bringing both of them into ‘FOCUS’. 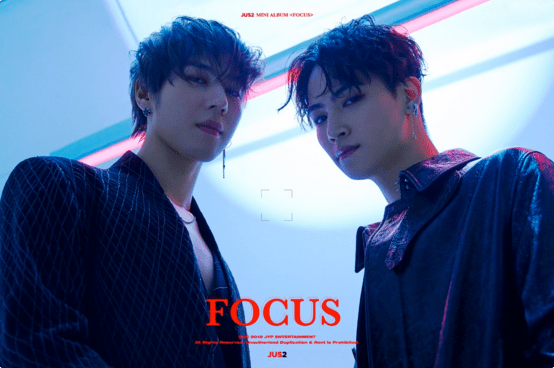 In this shot, both JB and Yugeom look seductively dangerous in their clad-black outfits and slightly wet hair. The upward-angled image adds to the mysterious ambience set by the blue, red and white tones in the background. The album is set to drop on the 5th of March at 6 PM KST, whilst the MV to their title track will be released a day before at 12 AM KST. Are you excited JUS2’s debut? What are your thoughts on the concept of the image teasers? Let us know in the comments below!